Colombian Coffee is considered to be of the best in the world. We are a Premium Colombian Coffee Company that specialises only in the highest quality of coffee beans. We work directly with the best farms in Colombia and can provide the widest range of different coffees. 1)- Our private luxury brand: 40 Granos. 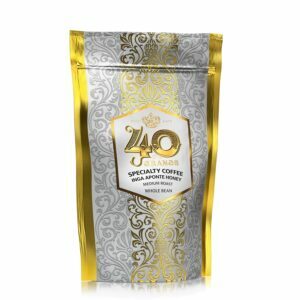 40 Granos is a prize-winning, premium-quality specialty coffee luxury brand, offering an exclusive selection of the finest Colombian coffee beans. 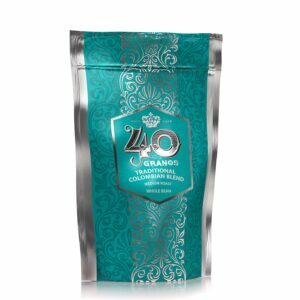 40 Granos coffees have a bold presence and carry rich and smooth flavors. Freshly harvested and roasted, only hours prior to shipping, our coffee could not be any fresher and purer, 100% Colombian. 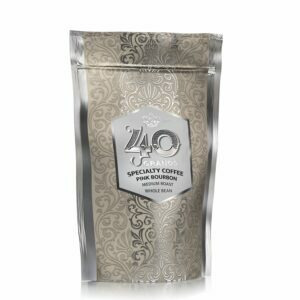 As specialists in Colombian specialty and supremo coffees, 40 Granos is what our international clientele demands – a clientele that consists of avid caffeine lovers and connoisseurs. Whether your preferred brew is espresso, latte or cappuccino, our coffee selection has been lovingly sourced and hand-picked by the best coffee-growers in Colombia to deliver the perfect luscious texture and taste your heart craves. A package of our premium coffee makes for an exquisite gift or to simply satisfy your own thirst for the best of coffee in the world. Whatever your motive may be, our expertly picked selection of coffees will more than meet your needs. 2)- Your own Private Brand. You may purchase any of our coffees and we can package it for you and ship to you. We accept small orders, the minimum being 25 kilos. “Screen” is the size of the coffee bean. The bigger the coffee bean, the higher quality it is considered to be. The highest screens are the best coffee beans. What coffees we have chosen to use for our Luxury Coffee Brand. Our favourite coffees are those we have chosen to use for our luxury coffee brand. Only the best of the best. Please do note that Specialty Coffees are usually micro lots and often hard-to-get coffee beans. Therefore, if you are interested in Specialty Coffees, purchases will have to be made well in advance. 40 Granos is a luxury brand for freshly harvested and roasted coffee made of the finest hand-picked Colombian Supremo 18 whole beans, the highest-ranking beans in the Premium category. This brand is strictly for coffee connoisseurs. The fragrance is of caramel, fruity notes, and chocolate and the aroma citrus notes and honey with residual lemon with bright, medium-high acidity. Inga Aponte Honey is a 100% Caturra Specialty Coffee cultivated by descendants of the Incas very high in the mountains at an average altitude of 2150 meters above sea level. This elevation, combined with the Galeras Volcano constantly shedding nutrient-rich ash, makes for exceptionally complex and sweet coffee. The fragrance is vinous, of very ripe fruits and sugar cane. The aroma is of tangerine, ripe grapes and very sweet, slight chocolate notes and medium-high acidity. Pink Bourbon is a prize-winning specialty coffee grown exclusively in the Huila region of Colombia. A rare and hard-to-find, unique-colored pink cherry bean, the Pink Bourbon has won 1st place in the Yara International Gold Cup Championship, making it the best coffee in Colombia. We present to you a deep, sweet-savory Colombia cup with inviting chocolate and tart-fruit notes. Yearning for some traditional Colombian-quality 100% Arabica coffee? Our Traditional Colombian Blend is a full-bodied coffee with notes of slight wood notes, low sweetness, and a rich aromatic finish and is complemented with a long lingering finish.